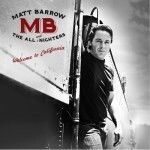 Matt Barrow And The All Nighters » All Nighters Show at The Piano Bar! Home » Events » All Nighters Show at The Piano Bar! All Nighters Show at The Piano Bar! We are playing a one hour set from 8:00pm to 9:00pm on Thursday September 27th at the Piano Bar in Hollywood.